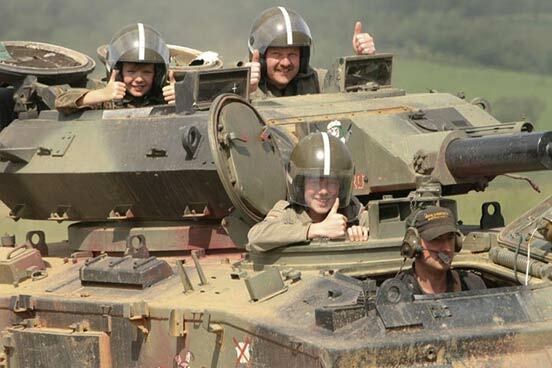 Fulfil your childhood fantasies and experience the thrill of driving a 15 ton military vehicle! On arrival you will be issued with your uniform and will be introduced to your crew, instructor and 'home' for the next hour - a fifteen turreted FV432 tank! After a briefing on the vehicle you will take it in turns to drive 2 laps around the beautiful Leicestershire countryside, once a World War II bombing range. Start with the hatch open and then under battle conditions looking through the periscope. When it’s not your turn to drive, you will sit in the turret seat and enjoy the tank ride! 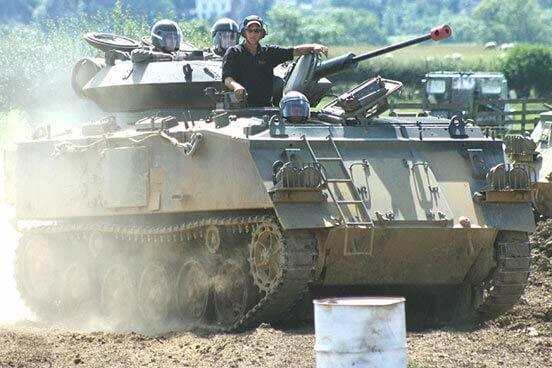 After your experience you can enjoy the museum which displays a large military vehicle collection, everything from a 1947 BELL 47G helicopter to a 1940's M4 105 SHERMAN. This experience is available on Sundays and Wednesdays, from April to October. Your experience will last approximately 1 hour. This experience is for one person, there will be three people per tank. You are welcome to bring spectators to watch for a fee. The minimum age is 16 years old. The maximum height for participants is 1.93m (6ft 4"). The maximum weight is 139kg (22st). Please note that accessing the vehicles involves climbing into tight spaces. You do not require any qualifications to take part in this activity. 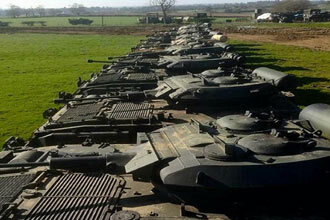 It was a gift for my birthday and choosing the tank driving taster was a great choice. It was the opportunity to drive something that didn't require a steering wheel. My dad was able to come along for the ride and we were able to look around their museum afterwards. There was an extra cost for him to do so but it was reasonable and well worth it. Just what we hoped for. It was excellent. Sadly they ran out of decent uniforms and I got a really manky one, which detracted a bit from the photos, but the tanks and driving were great. My wife bought me it for Christmas last year 2016.